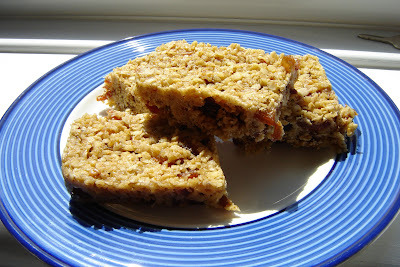 I made a second batch of microwave flapjacks yesterday. Chopping dates is a gooey business. I dislike goo. But I do like dates.